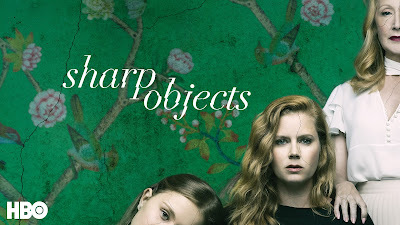 Read Kelsi's review of Sharp Objects. Set in a small town in southern Missouri, Sharp Objects follows troubled journalist Camille Preaker (Adams) as she returns home to investigate the murder of a preteen girl and the disappearance of another. Trying to put together a psychological puzzle from her past, she finds herself identifying with the young victims a bit too closely. 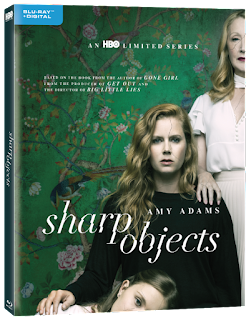 Sharp Objects is Available Now for Digital Download and Arrives on Blu-ray™ and DVD November 27th, 2018. It’s easy to see why the new series Sharp Objects turned out to be such a hit on HBO. Depicting a variety of mental health disorders, this show helps open up the stigma surrounding mental health. We see a variety of illnesses such as PTSD, Bipolar 1 with mania, trichotillomania, and Munchausen Syndrome by Proxy. Along with these mental illnesses we also see comorbidity of substance abuse and self-harm. Being that I am in the mental health field, I was really excited for this series and its psychological interpretations. The mental illnesses being portrayed by each character are depicted meticulously and I must say I was very impressed. Amy Adams played an amazing role in the show as press release writer, Camille Preaker. Preaker, born and raised in the small town of Wind Gap, Missouri, couldn’t wait to get out of there. However, when a series of unhinged events occur within Camille’s home town, she is forced to return home and investigate for work related purposes. Reuniting with her family; mother Adora, step father Alan and step-sister Amma, Camille becomes overwhelmed and lost in a world of past traumas she once experienced there. Adora is sure not make things any easier for her either, causing hell for Camille. Camille’s half-sister, Amma Crellin (Eliza Scanlen), lives a doubled life as a teenager. 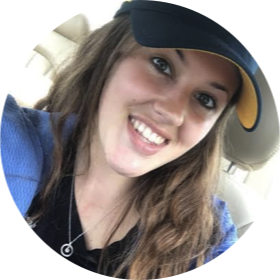 Unable to act like a normal teenager due to the mental illnesses of her mother, we see very unstable and overwhelming behaviors from Amma. She is likely experiencing symptoms of mania. After every episode, you are sure to be left with even more questions than before. However, I promise you they will all be answered in the end! Eager to see what happens next, I found myself sitting at the edge of my chair the whole show. If you’re into psychological twists, I highly recommend you watch Sharp Objects. Although it has a slow start, it has lots of quick teasers. With only one series containing eight episodes, the show will be over before you know it.